When it comes to Benefit's beauty lineup, their box o' powders are among my top favorites. I love the gorgeous color selection available, and the fun packaging is really something else. Rockateur is the newest addition to their boxed powder lineup, and as soon as I laid eyes on it, I just knew I had to add it to my collection! 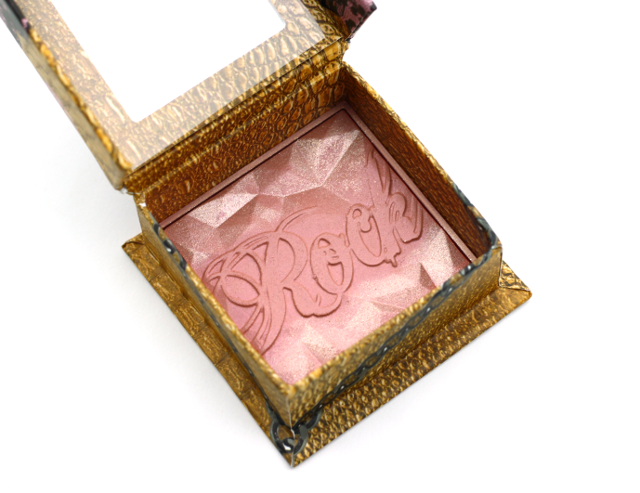 Rockateur is a lovely warm rose gold, with shimmers throughout. I was surprised to see that this color pulls kind of peachy /coral on my cheeks and not pink. I don't really mind though because truth be told, I prefer peachier colors on my cheeks than pink ones. I love how the Rockateur doesn't overwhelm, and the shimmers impart a healthy looking radiance to the cheeks without enhancing pores and imperfections. A highlighter is optional, really. The radiant effect is breathtaking, and with this cold winter weather drying out my skin more than usual, a glowing effect is very welcome. 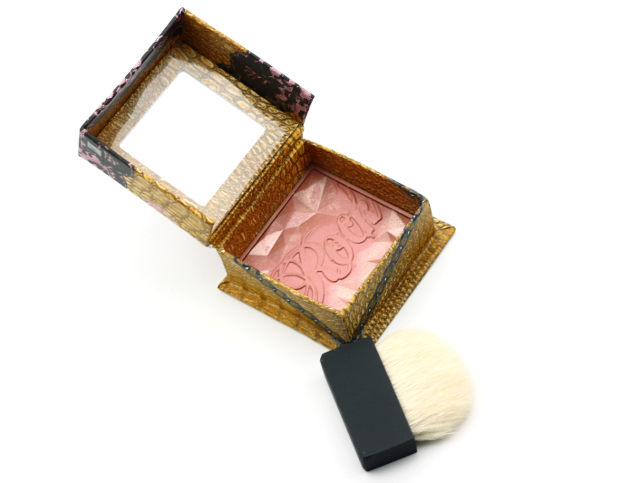 The texture of the powder is amazingly smooth, and it blends like a dream. The color is easily buildable, too. The included applicator brush is super soft, and it's nice to have for traveling purposes. This brush is more tapered and rounded, as opposed to the square shaped brushes I have received along with benefit's other boxed face powders. I really like this one because I feel like I have much more control during application. As for Rockateur's lasting power, I must say, it hangs on pretty well. I can sport this for 8-10 hours and by the end of the day I would only notice very minimal fading. There are a couple of things that stand out when it comes to Rockateur, which I think are worth noting. For starters, the fragrance. 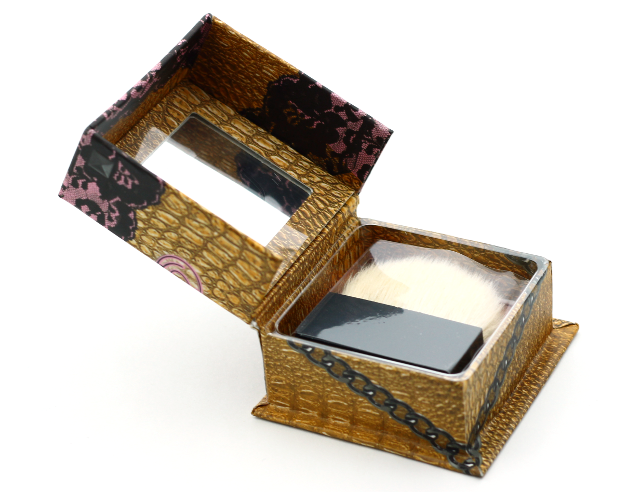 This powder has a floral scent that's pretty strong-even for me, and I am not really sensitive to fragrances. Luckily, the scent doesn't linger once the powder is on the cheeks. I don't even notice it throughout wear time. Next topic-the amount of product in the box. Rockateur contains 0.17 oz of product as opposed to 0.28 oz that the other boxed powders contain (thrrrob contains 0.42 oz). I am not really clear as to why this is, but personally, it doesn't bother me. I am not worried about quickly using this up since a little but of product goes a long way. Rockateur has been rocking my world for the past month. I have been reaching for it loads, and it's become one of my favorite winter blushes. I am sure this is going to be a staple come spring /summer as well. 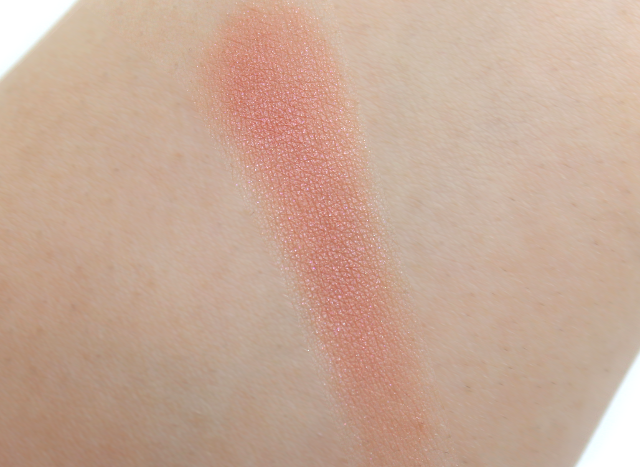 That radiant finish really does it for me, and because the color is so soft and wearable, this blush looks fabulous paired up with a number of looks. 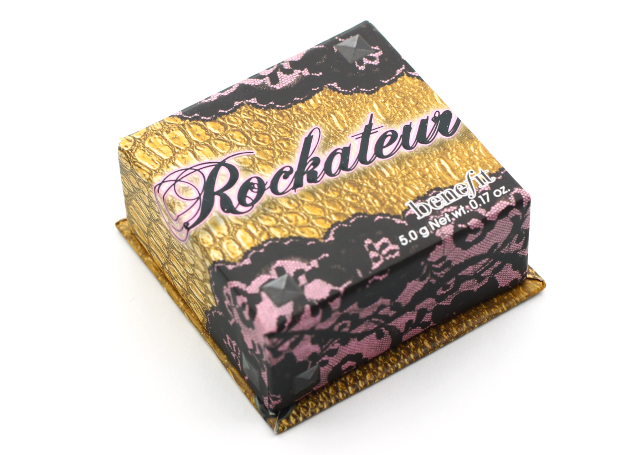 If you are fond of radiant cheek colors, check out Rockateur. I don't think you will be disappointed. What do you all think of Rockateur? Which are your favorite boxed powders from Benefit? This blush is so pretty! I have some Boots Vouchers from Xmas and I'm very tempted to add this to my collection. My sister gave me this for Christmas and I am absolutely obsessed with it!! So happy to hear that you are loving it, Kat!